Comment: Ships within 24 working hours. With the 1:25000 scale Ordnance Survey Explorer 390 Ardnamurchan Map you are sure to find all the best walks, routes and places of interest around this area. Great maps a must have if you are thinking of walking in the area. Really what more can you say about a map? 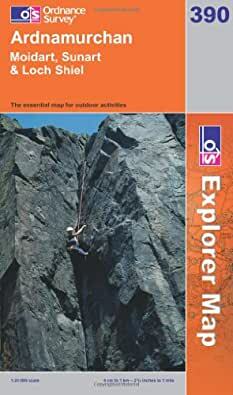 Its an OS map, what more can I say! OS Explorer series has most things you need to see and to get around. Very good.